← Make a difference, one letter at a time. Just when we thought we were out of the woods, daycare happened. After discussing the possibilities for which Sutton could have gotten sick, we are convinced it was the toddler classroom. Let me take you back a week where this all started. Saturday seemed a little rough for Hiatt with a runny nose and Sutton seemed a little congested. Not too worry, we just kept them both home from church on Sunday and let them catch up on rest to feel better for the week ahead. Sunday night was a disaster. Hiatts nose was flowing like a garden hose and Sutton could hardly breathe. Off to the ER for a deep suction, a breathing treatment and some TLC and Brittany and Sutton were home by 2am. The holiday from work and school turned into a trip to the pediatrician where Sutton received more breathing treatments and back home with two sick kids was the plan. Sutton had a visit to the CF clinic which went well, but she was still breathing pretty rough so we started an antibiotic just for good (CF) measure. After the week out of school, Hiatt went back and Sutton was still not doing too well. She was having trouble keeping anything down and she was having a really rough time breathing. A quick call to the pediatrician and she sent us straight to the ER. They worked really hard and got her cleared up and after a few hours decided it was best to admit us so they can suction and give breathing treatments. 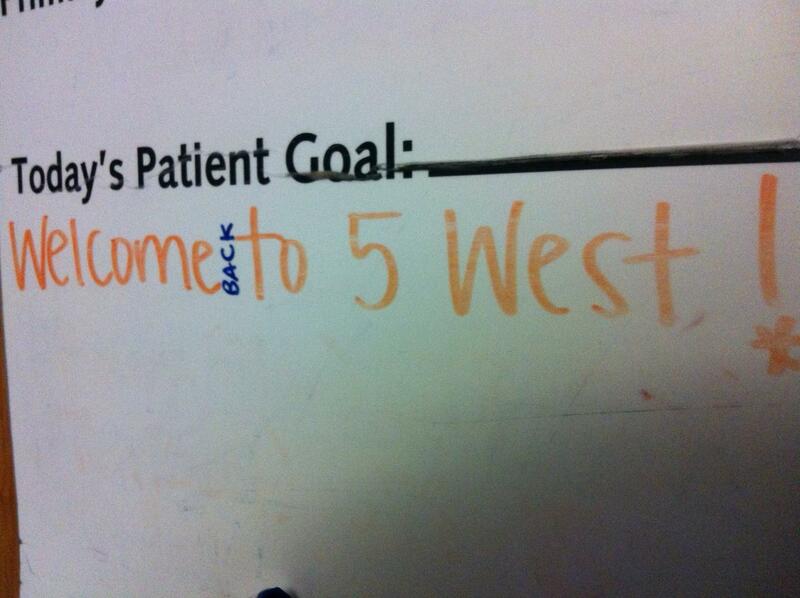 Of course the nurses were all pushing to get into the room since they heard Sutton was coming back to 5 West. It was a warm welcome. She is such a blessing to everybody. A quick side note: Tuesday was our last visit with DR Schecter as he is moving away. We were so lucky to have him for our doctor for CF. He will continue his work and we hope to one day link back up with him pending our possible move in the future. Big thanks to Dr Schecter and we look forward to our new doctor soon. Look at that sweet sweet baby….we will be praying for her and all of you, especially through this cold season! Give each other hugs from all of us! Jeff and Brittany — So sorry to hear that Sutton is sick. You are all in my prayers and I hope that you will be home very soon. Love from all of the Jacksons. She’s so beautiful! 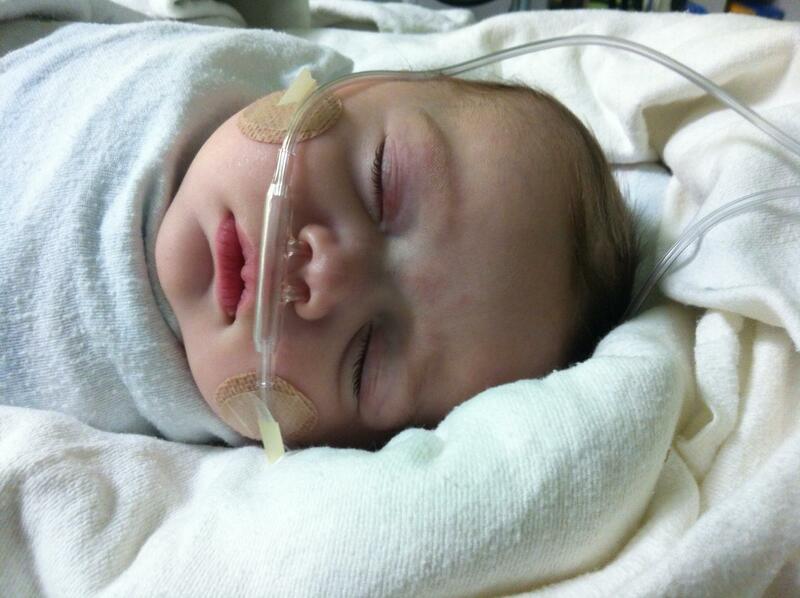 Sending love and prayers…..
Praying Baby Sutton will have a speedy quick recovery. Love and hugs from Celly!! You are a beautiful, sweet baby! God’s blessings be with you always!